He is one of the best experts I know in any discipline” – Claimant lawyer. 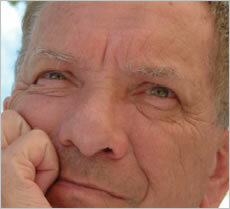 Trevor has been involved in recruitment consultancy for over 45 years. John Lees, renowned careers coach and best-selling author says, “Trevor draws on extensive experience in the recruitment sector along with a deep understanding of issues surrounding disability, employability and market trends. In short, Trevor understands the employment market like the back of his hand, which is why he is a market and thought leader in the expert witness field”. Investment banking: through a lifetime of working in the City of London, Trevor has numbered many banks and finance houses among his clients. He is an inveterate networker and has good connections with specialist banking executive search and selection consultants and his many other top level contacts in the City. Hospitality/catering: In the early ’90s he owned and operated a Good Food Guide recommended fine dining restaurant. Trevor maintains a strong interest in catering and excellent links within the hospitality industry. Performing arts: Trevor was, for a few years, advisor to the Peter Green Splinter Group, securing a recording contract for them with Eagle Rock. He maintains connections in the music industry.